Non-executive director Alison Vipond discusses increases in inequality in her latest building a greener society blog. At our Board meeting, earlier this month, we spent time discussing recent news which highlighted how inequality is growing in the UK and elsewhere. The four commissioners of the Social Mobility Commission had just quit, which is a very sad reflection that not even the commissioners, whose job was to hold the Government to account, felt it was worth persevering. Alan Milburn, who had chaired the Commission, cited the current preoccupation with Brexit negotiations. On the same day, the Joseph Rowntree Foundation published a report showing more than seven million people in the UK are living in poverty despite being part of a working family. One of the main reasons cited is high housing costs, as rents are increasingly unaffordable. Earlier in the year, the Equality Trust’s annual wealth tracker showed that the richest one thousand people in the UK, who saw their wealth increase by £82.5billion in the year 2015-16, have more wealth than the poorest 40% of households. That is enough to pay the grocery bill of all UK users of food banks for 56 years. Further afield, we were staggered to read of the US Senate Tax Bill, which appears to create a debt burden for future generations, giving tax benefits which benefit the rich and corporations. We then discussed the general imbalance in wealth and how there is enough money in the world to solve many, many problems – it is just that the money is concentrated in the hands of very few people. For example, Oxfam reported, in January 2017, that eight of the world’s richest billionaires own the same wealth as the 3.6 billion people who form the poorest half of the world population. The world’s richest 1% has a share of global wealth which is more than the other 99% combined. 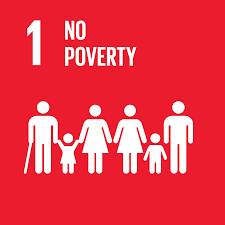 The concentration of wealth at the top is holding back to the fight to end global poverty, which incidentally is the first global goal in the UN’s 17 Sustainable Development Goals to be achieved by all countries by 2030. Closer to home, when it comes to housing in the UK, it often seems that the odds are stacked against local communities. With property prices rising faster than incomes, many struggle to find an affordable, quality home in their local area. Large-scale developers’ plans frequently pay little heed to local people’s needs and priorities – like affordability and the provision of green space. Ecology has been a long-standing supporter of community-led approaches to housing such as community land trusts, cohousing and co-operative ownership. 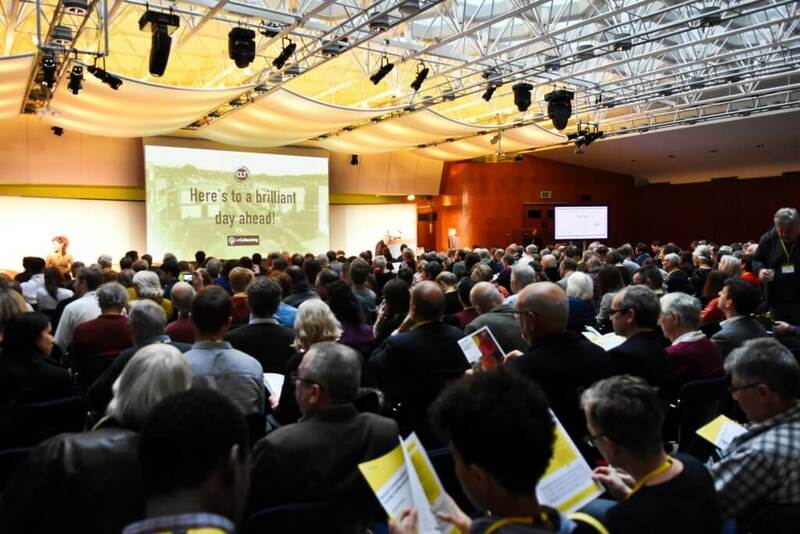 So, we were delighted to hear the really positive feedback from the first ever National Community-led Housing Conference, which took place at Congress House in London last month, and which Ecology sponsored. With more than 500 delegates, this was the biggest event the sector has ever seen. Paul Ellis, our Chief Executive, spoke to a packed audience of housing groups, local authorities, housing associations, as well as architects and lawyers about our desire to help community-led housing scale-up. It was great for Ecology to be part of such an amazing day, making history and to hear more inspiring and innovative stories of people-powered housing. 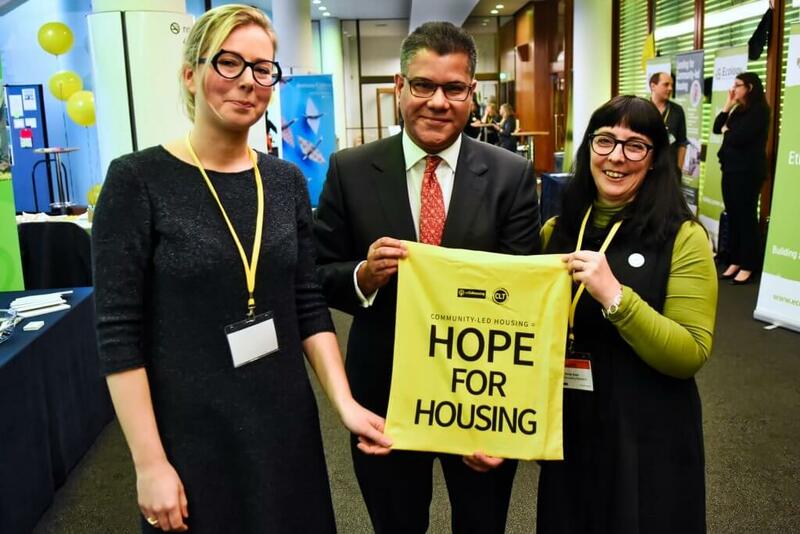 At the event Alok Sharma, Minister State for Housing and Planning, also made the announcement that the Government’s Community Housing Fund, amounting to a further £240million over four years, would be relaunched from January 2018, which was welcomed by the sector. Catherine Harrington, Director, National CLT Network (left); Alok Sharma MP, Minister for Planning and Housing (centre); Anna Kear, Executive Director, UK Cohousing (right). And, finally, we were really pleased to hear that earlier in the month Ecology had been recognised twice in the Mortgage Finance Gazette (MFG) Awards, which celebrate innovation and achievement within the mortgage sector. 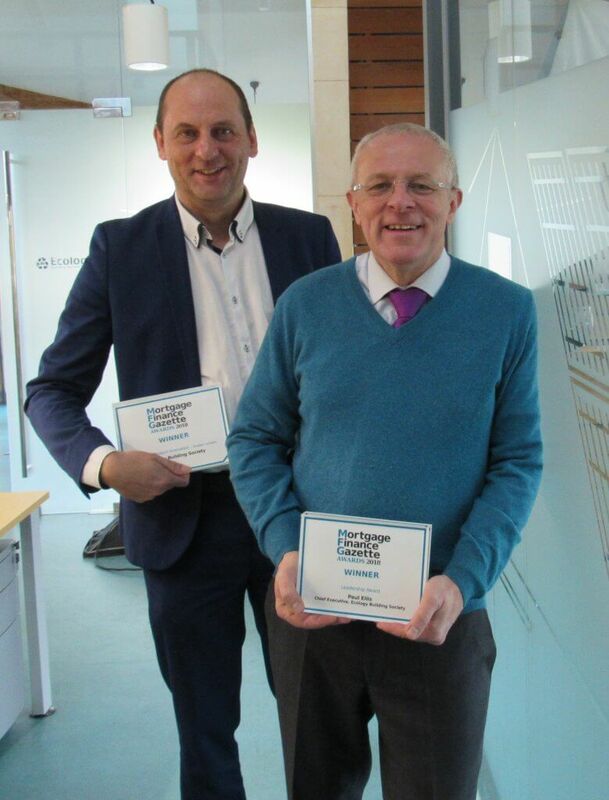 We won the Mortgage Product Innovation award for our pioneering work to provide permanently affordable homes with the London Community Land Trust. Paul Ellis was the winner of the Leadership Award.